You don't have to wonder any longer as to what Tesla will unveil at its April 30th event -- the company just spoiled things in advance. In an email to investors, the company states that its shindig will reveal both a previously-teased battery for your home and a "very large," utility-oriented battery. Details aren't forthcoming (those are for the big show! ), but there's a good chance that the hardware will build on the concepts behind existing home batteries, which are often used to store excess solar power and provide backups during outages. The real questions are whether or not Tesla can improve on personal powerplants like it did electric cars, and how much you'll pay versus the competition. You'll likely get the answers to both riddles in just over a week. 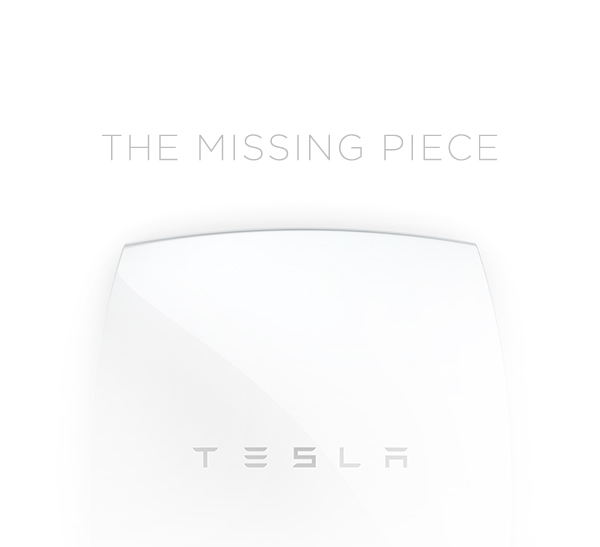 Update: We've received an invite from Tesla for its "The Missing Piece" event on Thursday. Will this be Tesla's entry into home battery systems? We'll find out soon enough.